Who is Oleksandr Usyk, the unknown, unbeaten, undisputed champ? Oleksandr Usyk and Tony Bellew go head-to-head Saturday in Manchester, England, with the Ukrainian's status as the undisputed world cruiserweight champion on the line. Usyk, 31, holds four belts and has never been beaten, representing a huge task for the veteran Bellew. But to many, Usyk remains an unfamiliar name. He has spoken of an interest in moving up to heavyweight to face Anthony Joshua, Deontay Wilder and Tyson Fury, but who is Usyk and how did he get here? The undisputed cruiserweight champion is a big man (198 pounds at Friday's weigh-in), but he is quick, with good movement, and lands flurries of punches. Crucially, too, Usyk is a left-hander. That adds up to make him a real problem for Bellew, who has struggled previously against southpaw fighters such as Adonis Stevenson — the last man to beat the Briton. Bellew has himself admitted that such opponents cause him issues. Not only must he overcome a daunting fighter but also one who appears primed for victory. Usyk's professional career may only be 15 fights old — all wins, 11 knockouts — but his status as a WBA, WBC, IBF and WBO belt-holder should give an indicator of the man's prestige. If that was not enough, his reputation grew further after his last win, against Murat Gassiev by unanimous decision. "He's the best opponent in my professional career," said Gassiev, while Bellew's trainer Dave Coldwell admitted the bout was enough to leave spectators wondering: "How on earth do you beat this guy?!" That victory saw him win the inaugural World Boxing Super Series, and Usyk also has an Olympic gold medal from London 2012. "I think I'm a little bit mad," Usyk told iFL TV when it was put to him that he might compare to "crazy men" Tyson Fury and Deontay Wilder. The Ukrainian's wide-eyed glare may well portray him in that way, and he hammed it up for an entertaining face-off with Bellew earlier this year. The Brit responded: "He can give me that crazy Ukrainian look, so I just gave him a crazy Scouse one back." But Bellew has consistently talked up his opponent, referring to a "superstar" and a "maverick" who should excite the neutrals in the crowd on Saturday. 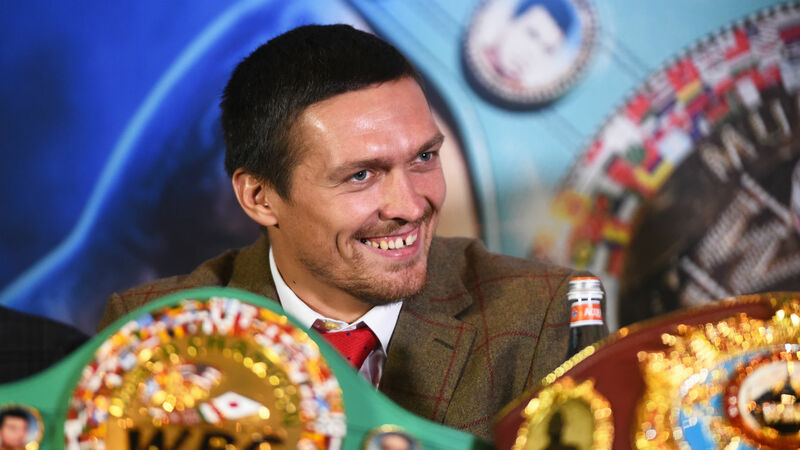 Usyk has dismissed such conversations and called for the contest to be settled in the ring, ignoring pre-bout debate, but anyone missing the usual pantomime back-and-forth should find thrills in abundance come fight night.